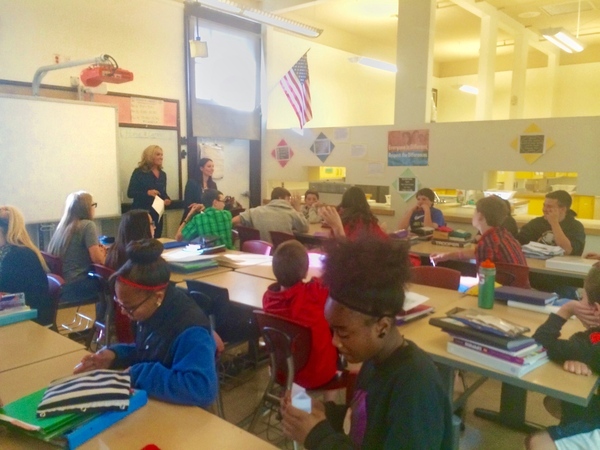 A few of our recruiters at AP Professionals spent two Friday morning sessions with 8th grade students of the Discover School preparing for interviewing. The students were currently learning about career readiness, resume building, and interviewing! After their first session with AP Professionals the students came back the following Friday dressed up and ready to interview for a job of their choosing! AP conducted mock interviews to prepare them for real world job interviews. It was a great exercise in developing skills and strong answers to interview questions. We were extremely impressed by how well they prepared and came professionally dressed with resumes in hand!